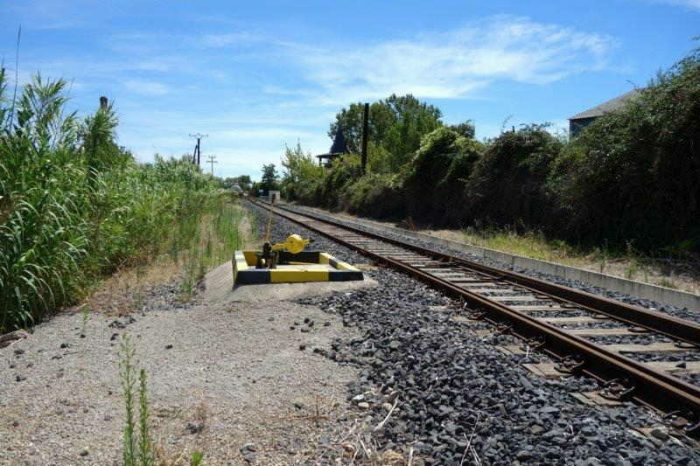 The network of the Company of Railways of Local Interest (IL) of Herault reached a maximum length of 212 km. Its lines were standard-gauge. It was planned in the first years of the second empire, it was given authorisation in July 1865. 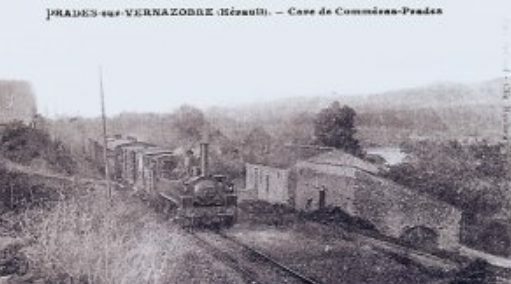 The line from Celleneuve to Montbazin, when complete allowed traffic on the two parts of the network without the need to pay tolls to the Compagnie du Midi. It was the same with Colomiers to Maureilhan line. 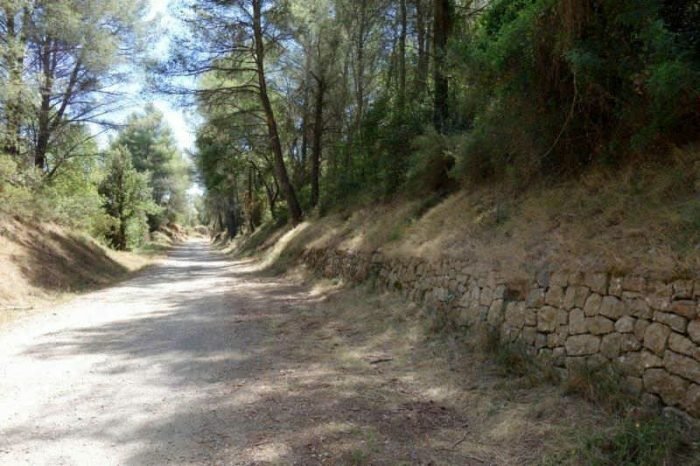 Except for the Palavas line, which was predominantly beach-side, the other lines were for wine, grapes and bauxite traffic. 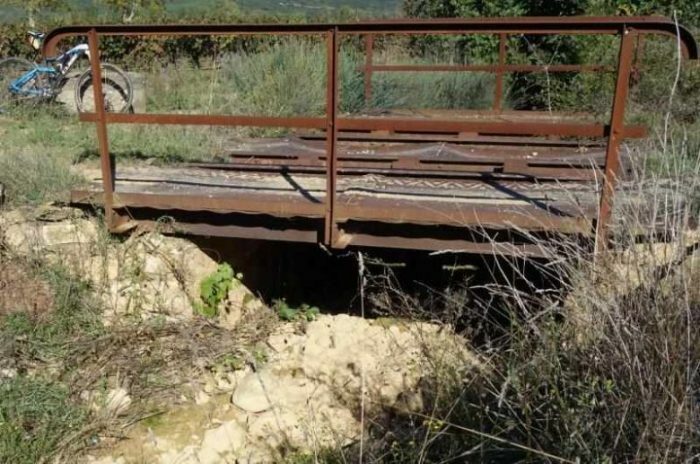 But the network was fragile financially, because of construction costs, maintenance and operating expenses. The departement purchased the network in 1928 and entrusted it to the Société Générale des Chemines de Fer Economiques (SE), which undertook some considerable work to stengthen the formation and renovate structres. The new Company also used railcars. 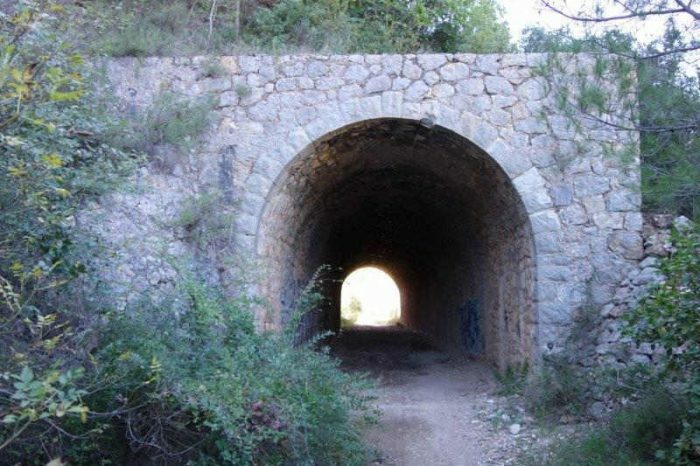 In 1932, under pressure from road transport, it was decided to close the passenger service on all lines except for the line to Palavas. The service was restored in 1939. However after the war traffic could not be sustained and both passenger and goods traffic ceased section by section across the network. 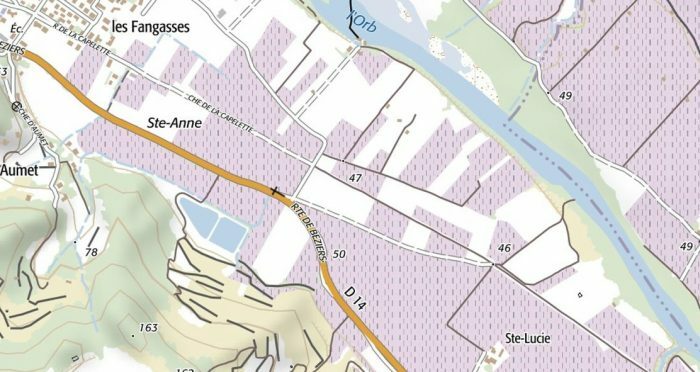 The Béziers-Saint Chinian line included 10 sidings that connected to: three wine merchants, two cooperative cellars, two large factories, two tank wagon sheds and a repair shop. The small town of Saint-Chinian is very pretty and is in the middle of a cool valley. It is the former favorite residence of the bishops of Saint-Pons. The town hall occupies the buildings of the former Benedictine abbey which served as their episcopal palace. 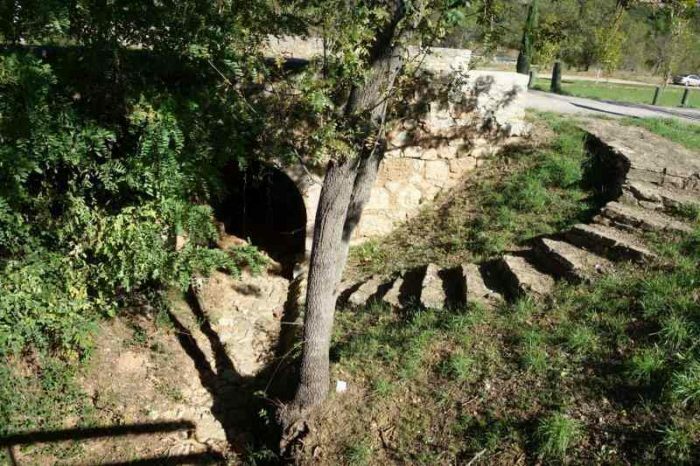 The caves of Our Lady of Nazareth, the Roman remains of St. Peter and the Roman cemetery of Cazo must attract our attention. 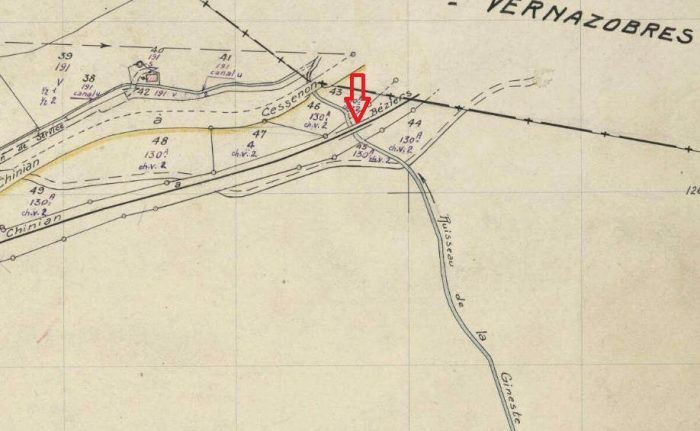 On 12th September 1875, the Vernazobres River flooded two-thirds of the town causing extensive damage and the death of 97 people. 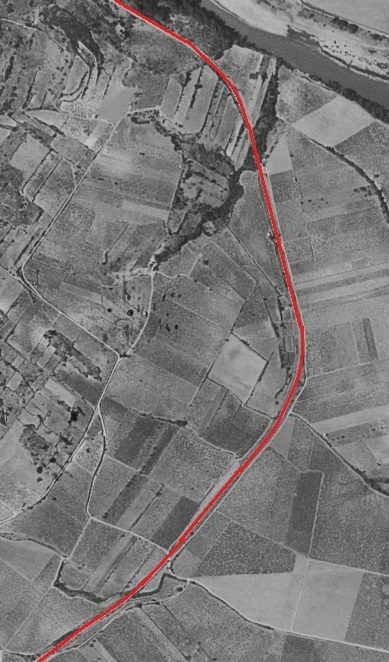 The 1961 aerial image above shows the route of the railway as a white line. It is shown overlain with a red line on the photograph. 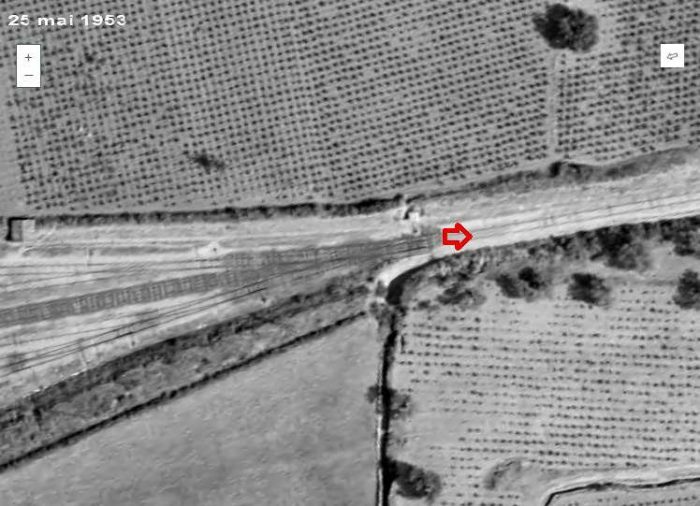 This aerial image is an extract from a 1953 survey and shows location ‘1’ on the 1961 photograph. This is the station throat at Saint-Chinian. 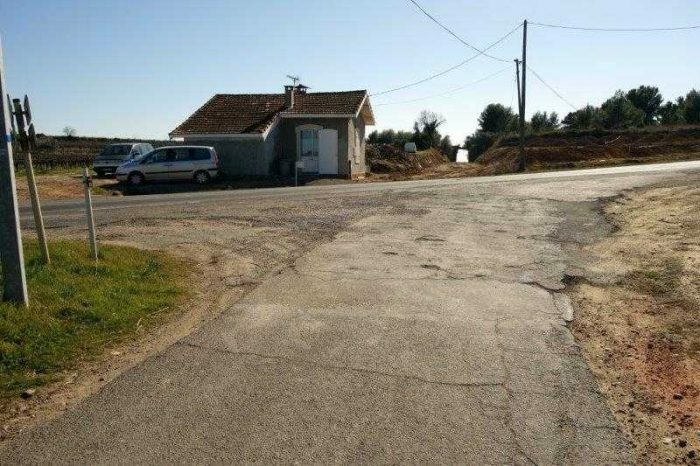 The station area and the first part of the line to Beziers are now covered by a housing development as shown below. The housing development on the Saint-Chinian Station site. 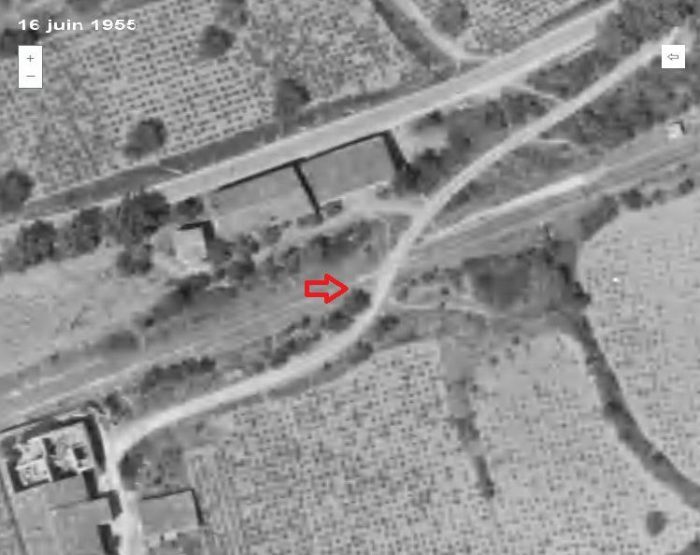 This IGN map covers the same area as the 1961 aerial image. 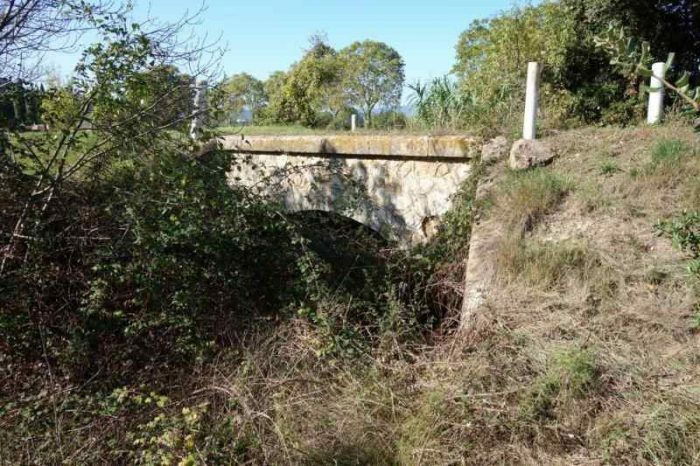 The railway formation is now hidden under the line of the Route de la Voie Ferree through beyond the halt and cemetery at Pierrerue. The route of the railway in the early 21st Century. 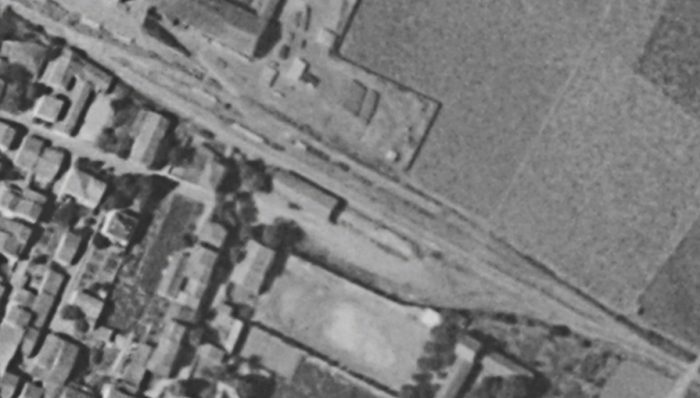 Location ‘2’ on the 1961 aerial photograph. The same location in the 21st Century. 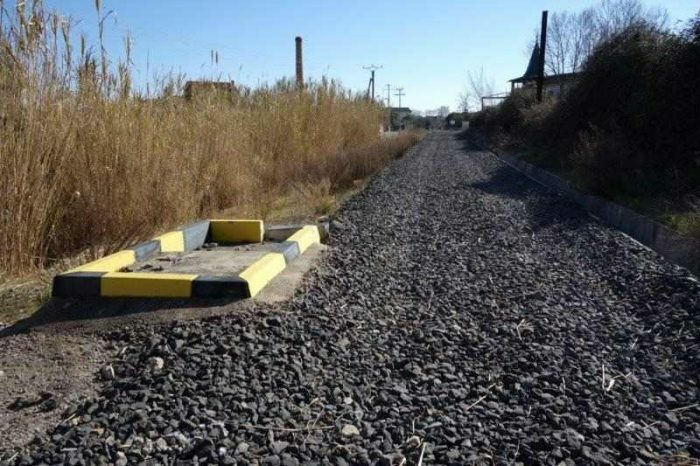 The railway track-bed has been used by the tarmac road. 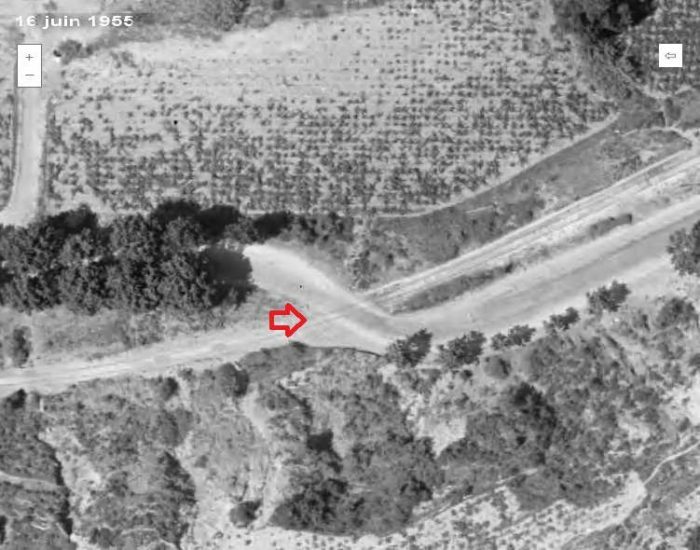 The dirt tracks visible on the aerial image immediately above are still present in this picture. 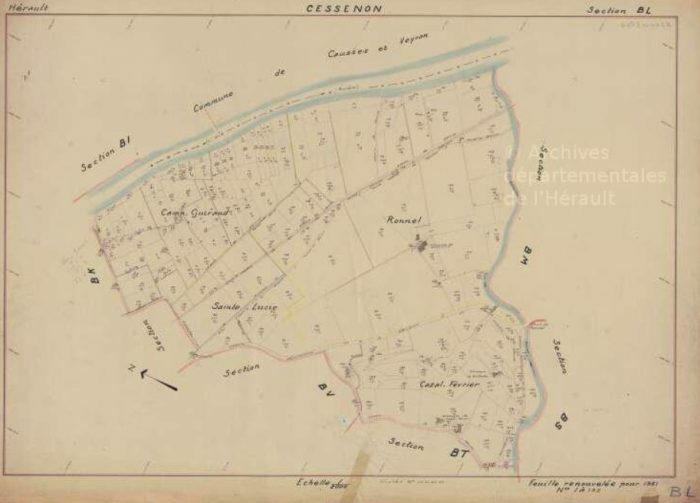 1950s Map showing the railway and Pierrerue Halt. 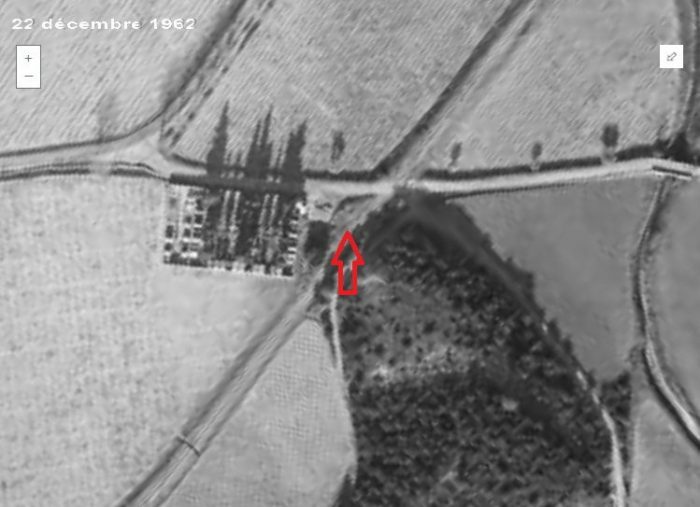 Pierrerue Halt and Cemetery in 1962. 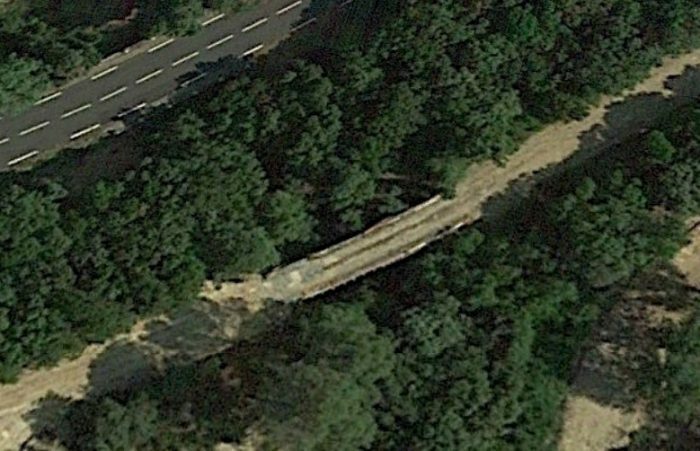 The location of Pierrerue Halt close to the Cemetery in 2016. 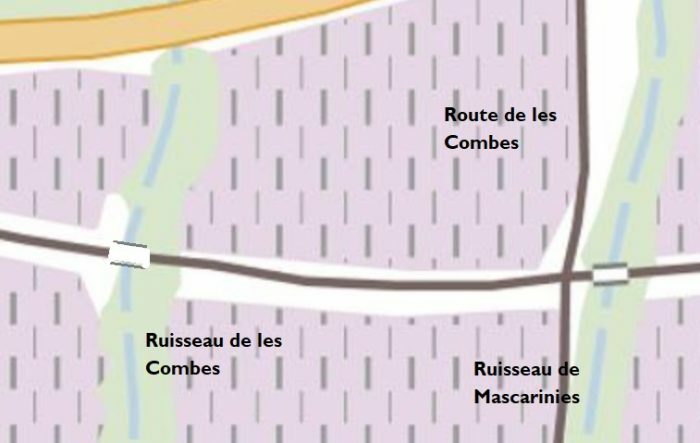 Beyond Pierrerue, the railway continued across flat open farmland to Commyras. 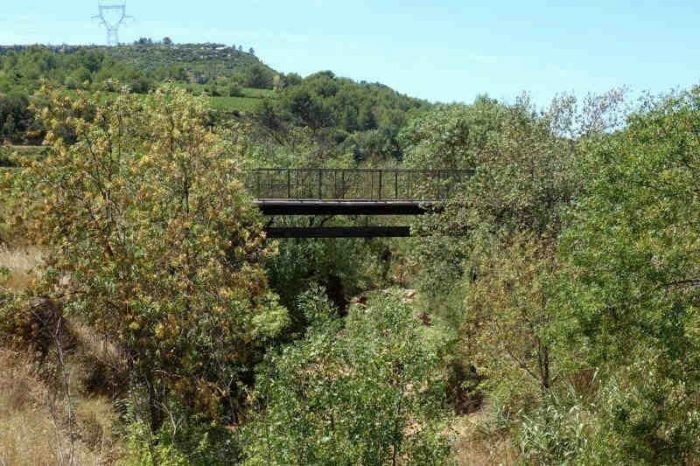 old railway continues beyond this point and the original formation is visible as it circumnavigates the sharp edge of the river valley side. 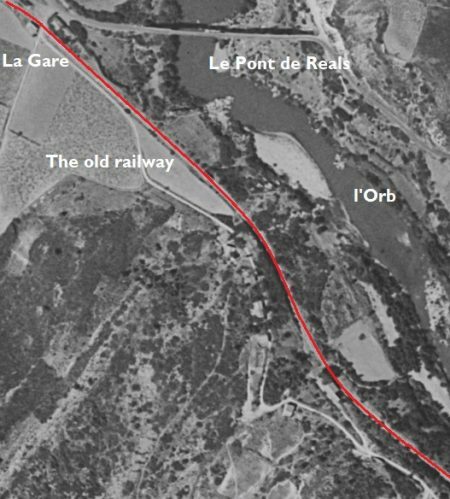 The railway continues to diverge from the road and follows what is now a riverside path known as Boulevard de l-Orb. 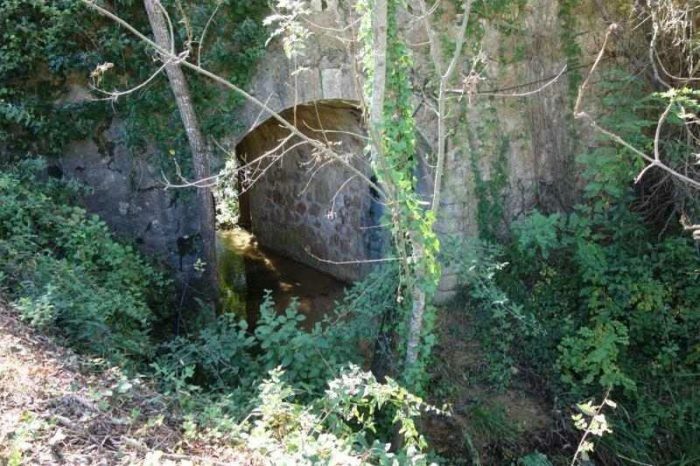 The Vernazobres River which we have been following relatively loosely is a tributary of the Orb.The old railway curved round the North side of the old town of Cessenon-sur-Orb. It route through the modern town is described by the Boulevard de l’Orb. 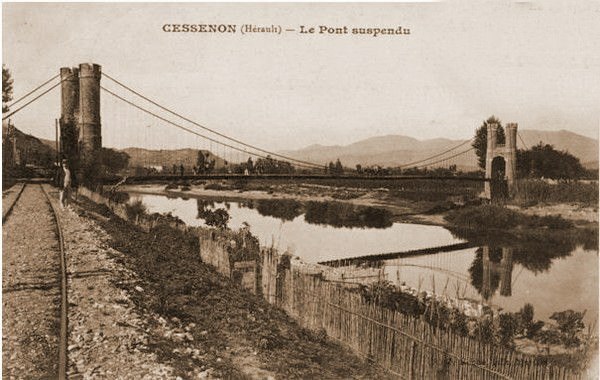 Approaching the suspension bridge which crosses the Orb River along what was the route of the railway but which in the 21st Century is the Boulevard de l’Orb. 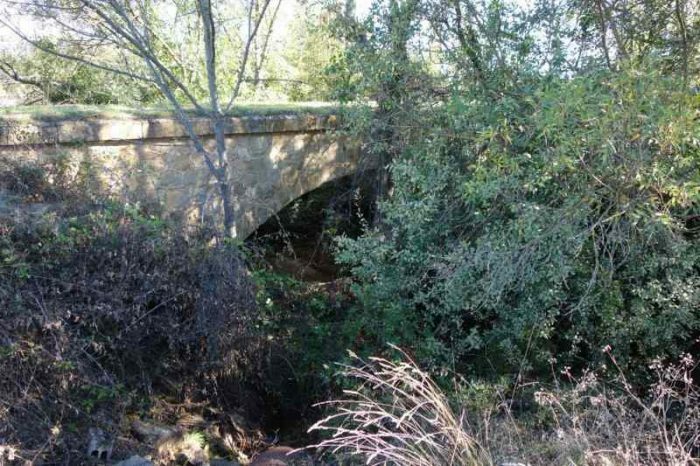 The picture immediately below is of the older bridge which was at this location. 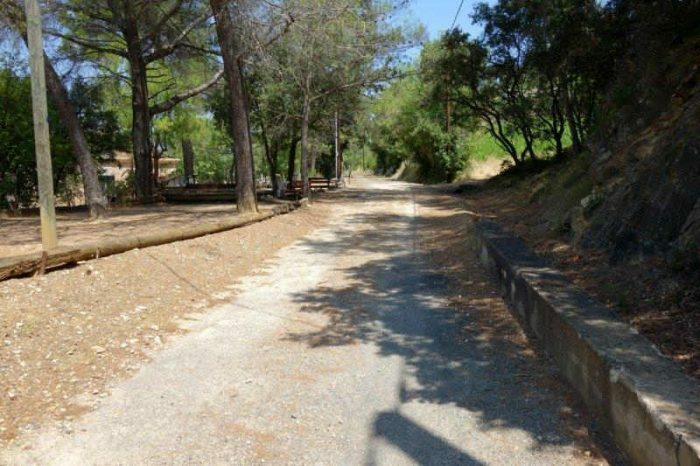 Then picture is taken from the North and shows the old railway line still in place. 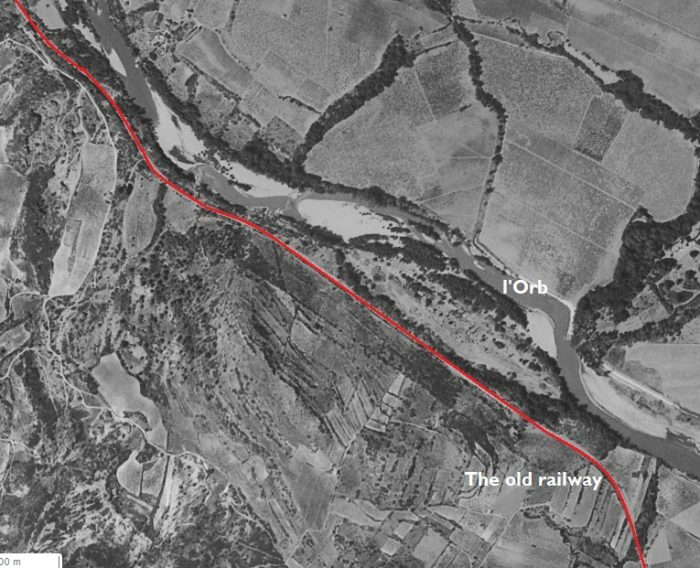 The railway ran just behind the dwarf river wall visible in this modern picture. The railway continues round the North side of the old town. 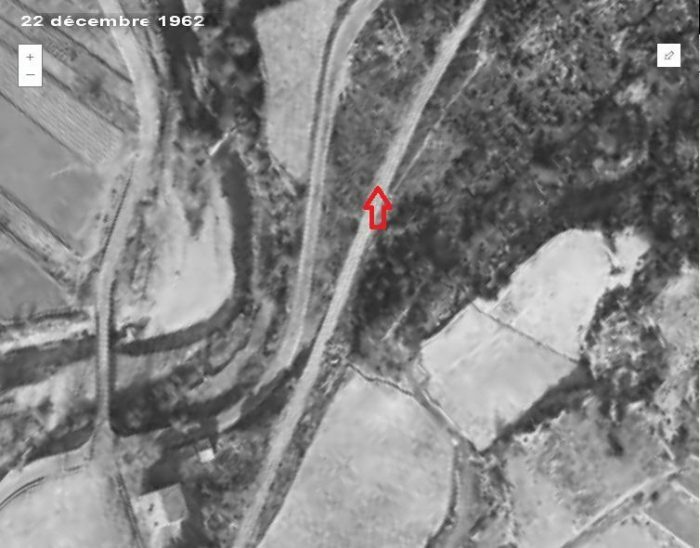 This is location ‘9’ on the 1961 aerial photograph. 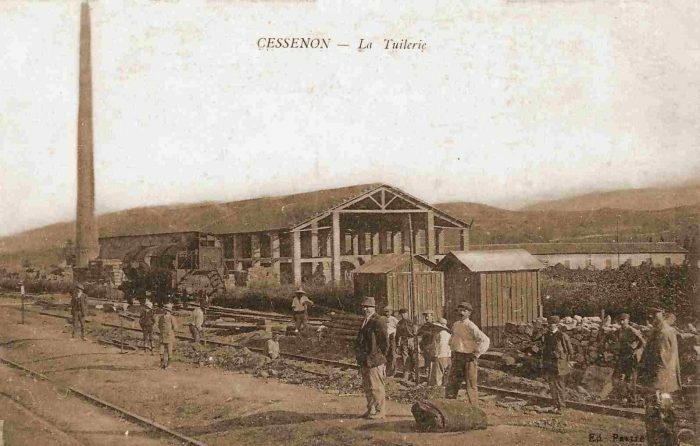 The series of postcard views below show the station building and goods shed at Cessenon. Initially it followed the southwestern bank of the Orb River but it then turned away South. 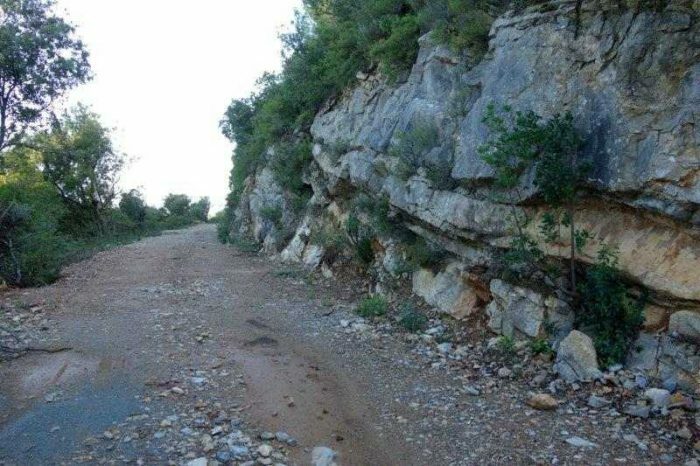 For a long length of the route it followed what is now a minor road. 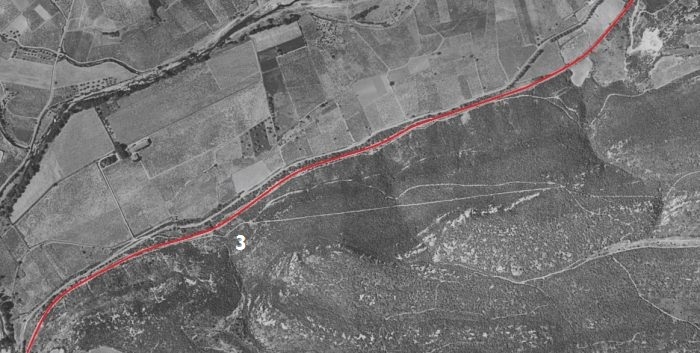 Further along the line the route is shown first on a hand-drawn map from the 1950s and then another 1961 aerial image. 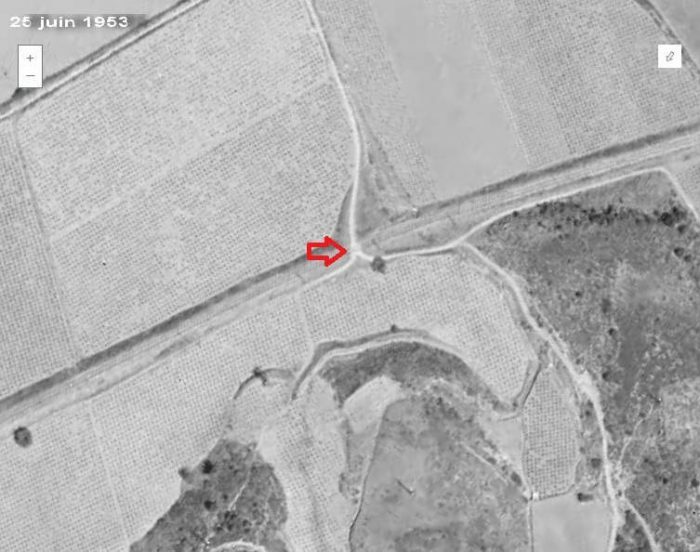 As noted above, the adjacent aerial images were shot in 1961. 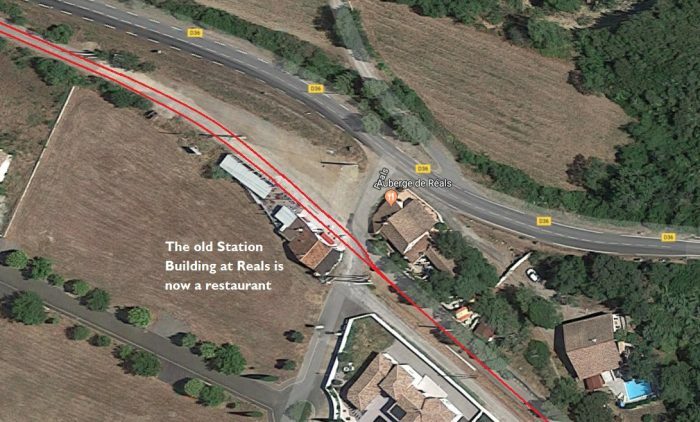 The third of the adjacent aerial images takes the line as far as the station at Cazouls-les-Beziers. En-route the railway crossed numerous small streams and water-courses. 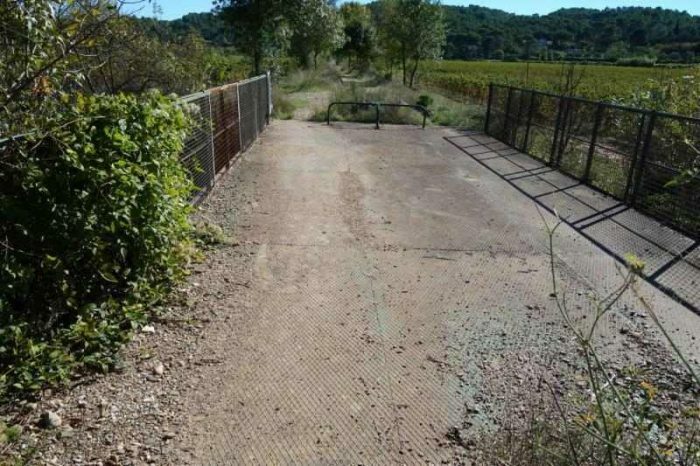 Its track-bed along the way is now in use as a single-track road. 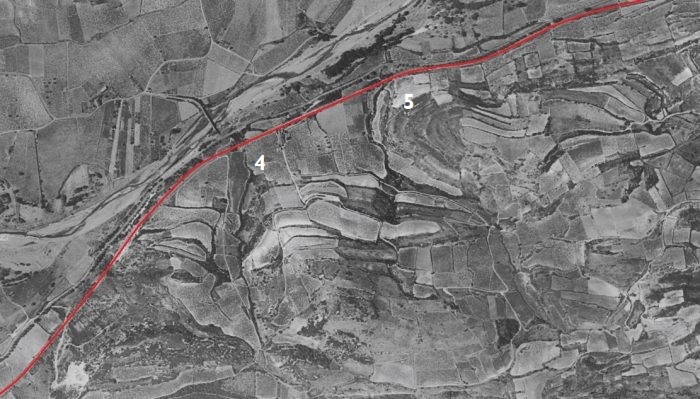 The structures which carried the line were similar to those already highlighted in this post. Although occasionally this is not the case. 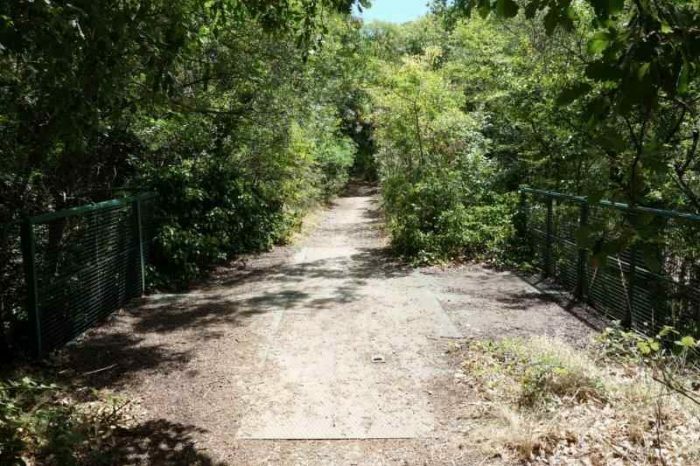 One such location is just to the North of what was a gated level-crossing at the D16. 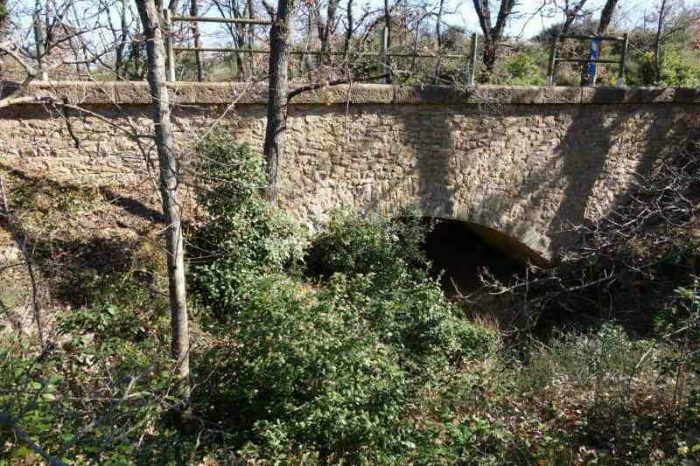 The line crossed the Ruisseau de la Mouchère and by the early 21st Century this masonry bridge has been reconstructed. 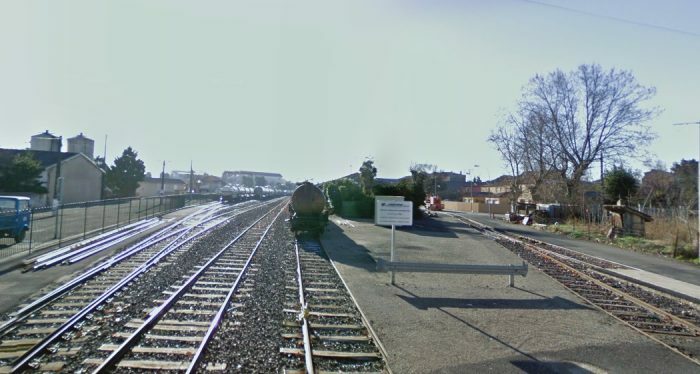 In the first image below from Google Streetview, the D16 can be seen crossing the line of the railway. 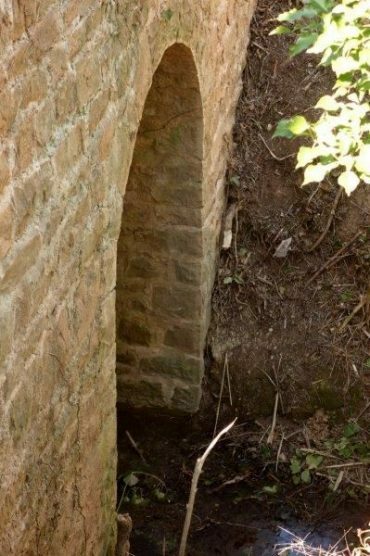 The bridge parapets seem to be of a piece with the age of the railway. 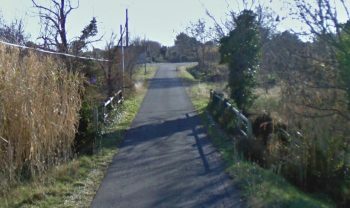 As we have noted, the line crossed the D16 at a gated crossing and as a result there was a crossing-keepers cottage next to the line. This is the first that I have been able to identify along the length of the line from Saint-Chinian. 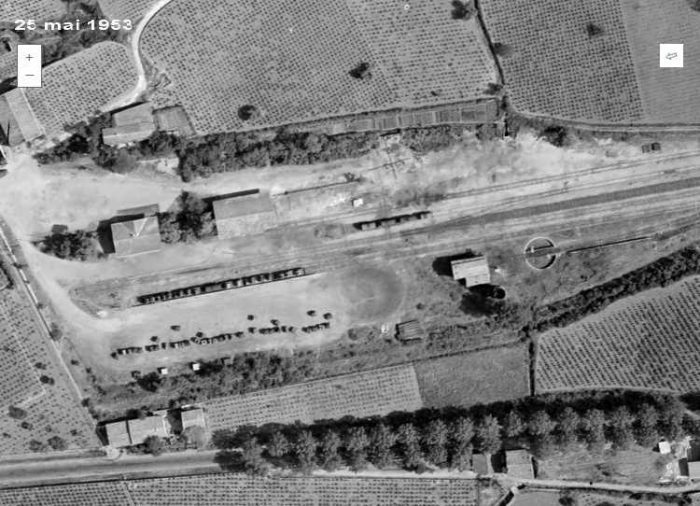 The 1961 aerial image of Cazouls Station above indicates that in 1961 the line was probably still in use as far north as Cazouls. The site is clearly busy! The first photograph below was taken in January 2009 looking North back along the line towards Reals from Rue du 19 Mars 1962. 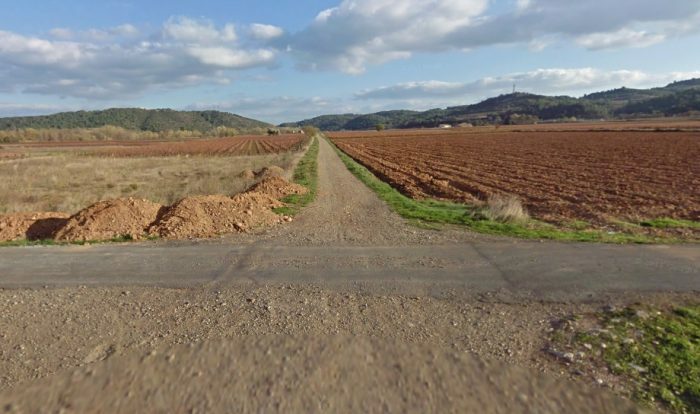 It is a Google Streetview Photograph. The second photograph is taken from the same location, also in January 2009, but this time looking south into the station site. 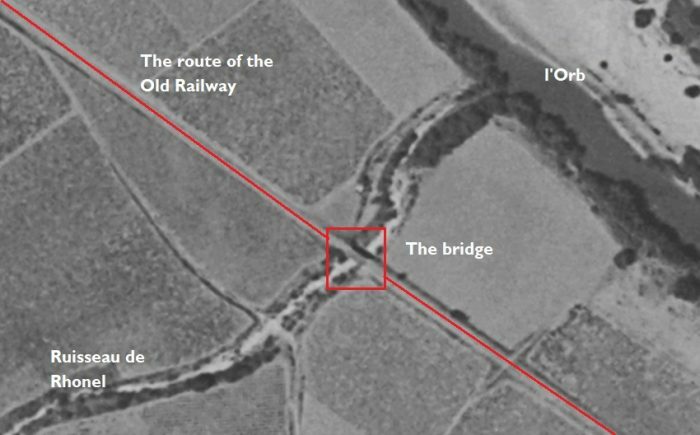 These pictures of the station site from 2009 and the following pictures from 2016 seem to make it clear that this modern branch line was secure. It had been fully refurbished and was well-maintained. It clearly (you might think) had a strong future. This was not (is not) the case. 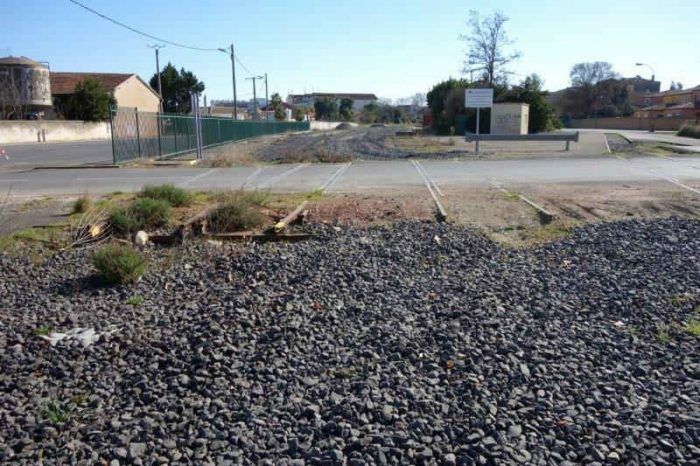 Despite the cash expended on the line, the mayor of Cazouls decided that the line had no future and it was closed in January 2017 in favour of creating a greenway along its route south from Cazouls. First then, two images from 2009. 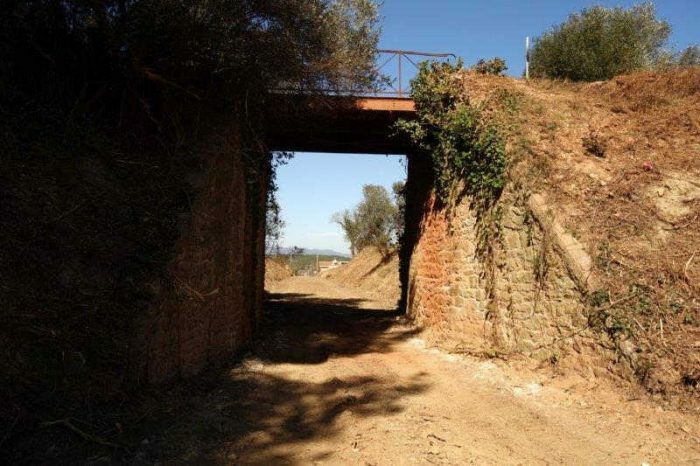 The next two pictures show the line north of the Station, first in 2016 and then in 2018. 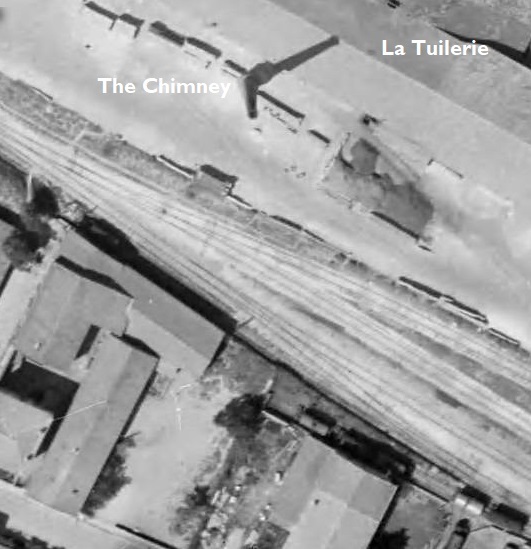 The next two images look south from the Rue du 19 Mars 1962, also in 2016 and 2018. 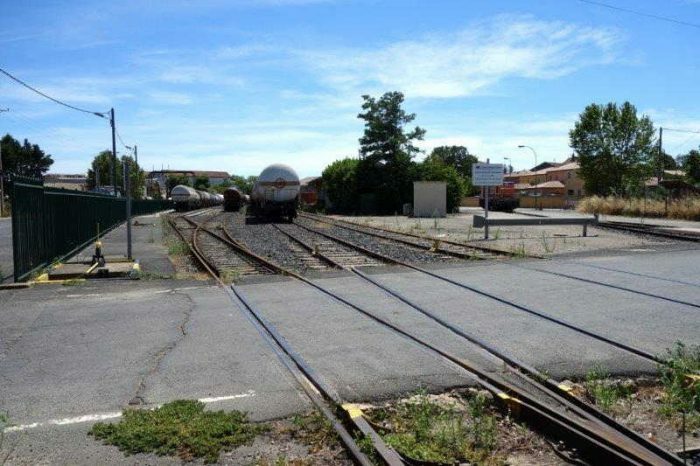 It is at this point that we complete the first post about the railway lines of the departement of l’Herault. 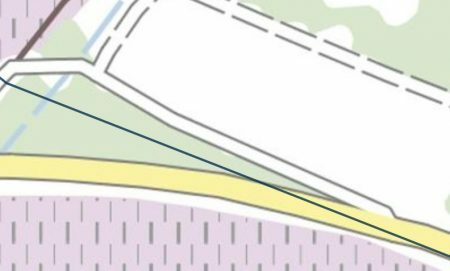 The next post will look at the lines south of Cazouls. 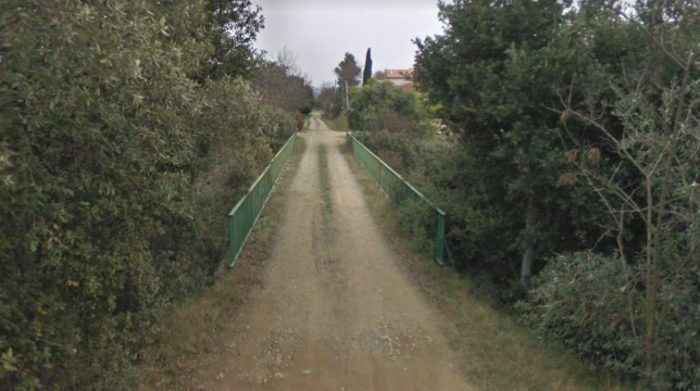 http://rue_du_petit_train.pagesperso-orange.fr/lignes/sudest/CF-herault.htm, accessed on 14th March 2019.
http://passes-montagnes.fr/htlm1/vf_saint-chinian_beziers-01.html, accessed on 14th March 2019.
http://jc34.eklablog.com/le-trafic-viticole-sur-le-rail-entre-st-chinian-et-beziers-a127745832, accessed on 14th March 2019.
https://fr.m.wikipedia.org/wiki/Chemins_de_fer_de_l%27Hérault, accessed on 14th March 2019.
http://adicab.over-blog.com/article-45469237.html, accessed on 14th March 2019.
http://cahiers.de.minerve.pagesperso-orange.fr/HTML/cdf_bezierssaintchinian.html, accessed on 15th March 2019.
https://www.cparama.com/forum/news/forum/34-herault-f41/page90.html, accessed on 15th March 2019.
https://remonterletemps.ign.fr, accessed on 15th March 2019.
http://archives-pierresvives.herault.fr/ark:/37279/vta558b794304186/dao/0#id:366744235?gallery=true&brightness=100.00&contrast=100.00&center=6293.450,-4742.306&zoom=6&rotation=0.000, accessed on 15th March 2019.
https://commons.wikimedia.org/wiki/File:Chemins_de_fer_de_l%27H%C3%A9rault_-_Commeyras_pont.jpg?uselang=fr, accessed on 15th March 2019.
http://passes-montagnes.fr/htlm1/vf_saint-chinian_beziers-02.html, accessed on 15th March 2019.
http://passes-montagnes.fr/htlm1/vf_saint-chinian_beziers-03.html, accessed on 16th March 2019.
http://www.trains-de-jardin.net/forum/viewtopic.php?f=119&t=2865, accessed on 16th March 2019.
https://remonterletemps.ign.fr, accessed on 16th March 2019.
http://cessenon.centerblog.net/6570059-la-gare-de-cessenon-en-1905, accessed on 16th March 2019.
https://www.france-voyage.com/cities-towns/cessenon-sur-orb-11868.htm, accessed on 17th March 2019.
http://www.inventaires-ferroviaires.fr/hd34/34069.a.pdf, accessed on 17th March 2019.
https://remonterletemps.ign.fr, accessed on 17th March 2019.
http://passes-montagnes.fr/htlm1/vf_saint-chinian_beziers-04.html, accessed on 17th March 2019.
http://archives-pierresvives.herault.fr/ark:/37279/vta5590858566372/dao/0#id:1943000407?gallery=true&brightness=100.00&contrast=100.00&center=6268.000,-4480.000&zoom=6&rotation=0.000, accessed on 17th March 2019.
http://archives-pierresvives.herault.fr/ark:/37279/vta559085856f949/dao/0#id:1248117227?gallery=true&brightness=100.00&contrast=100.00&center=6248.000,-4476.000&zoom=6&rotation=0.000, accessed on 17th March 2019.
http://www.tunnels-ferroviaires.org/tu34/34074.1.pdf, accessed on 17th March 2019.
http://passes-montagnes.fr/htlm1/vf_saint-chinian_beziers-05.html, accessed on 17th March 2019.
https://picclick.fr/CPA-Le-Pont-de-Reals-pr%C3%A9s-B%C3%A9ziers-687055-222976685932.html, accessed on 17th March 2019.
https://fr.wikipedia.org/wiki/Fichier:Chemins_de_fer_de_l%27H%C3%A9rault_-_Pont_routier_de_R%C3%A9als.jpg, accessed on 17th March 2019.
http://archives-pierresvives.herault.fr/ark:/37279/vta55925bc277a29/dao/0#id:1252215251?gallery=true&brightness=100.00&contrast=100.00&center=6268.000,-4468.000&zoom=6&rotation=0.000, accessed on 17th March 2019.
http://archives-pierresvives.herault.fr/ark:/37279/vta55925bc2a04d1/dao/0#id:2095234715?gallery=true&brightness=100.00&contrast=100.00&center=6304.000,-4476.000&zoom=6&rotation=0.000, accessed on 17th march 2019.
https://www.cparama.com/forum/cazouls-les-beziers-t3798.html, accessed on 18th March 2019.
https://dunuby.com/cazouls-l%C3%A8s-b%C3%A9ziers-34-h%C3%A9rault-cartes-postales.html, accessed on 18th March 2019.
https://www.communes.com/cartes-postales-anciennes-cazouls-les-beziers, accessed on 18th March 2019.
https://fr.wikipedia.org/wiki/Fichier:Chemins_de_fer_de_l%27H%C3%A9rault_-_Cazouls_pont_du_Rhounel.jpg, accessed on 18th March 2019.
http://www.mascoo.com/index.php?lg=en, accessed on 17th March 2019. Philippe Marassé; Rail et trafic viticole entre Saint-Chinian et Béziers : un commerce très actif; Historail, October 2013, p56-63. 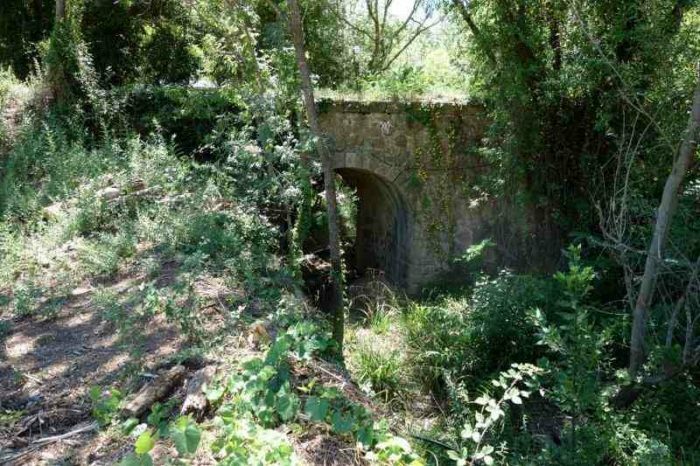 This article was quoted by http://jc34.eklablog.com/le-trafic-viticole-sur-le-rail-entre-st-chinian-et-beziers-a127745832,  For the sake of completeness an English translation of the french text of Philippe Marassé’s article is reproduced below in Appendix 1. Philippe Marassé made contact with me and offered a copy of the french language .pdf of this article. 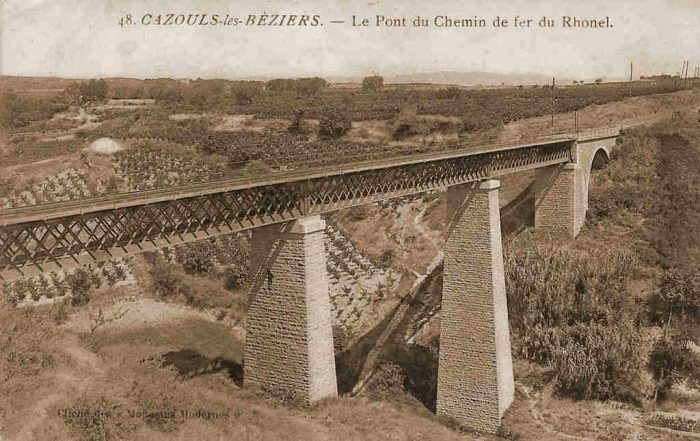 Rail and wine traffic between Saint-Chinian and Béziers: a very active business. by Philippe Marassé, translated from the original French article. 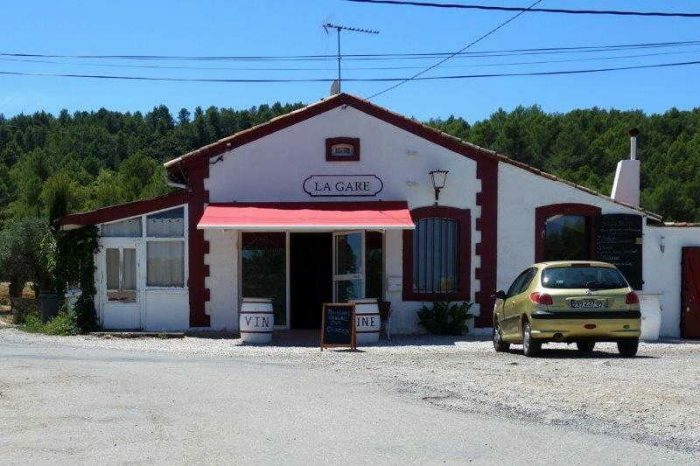 Rail played a major role in the development of mass viniculture in the four wine departments of Languedoc and Roussillon: Gard, Hérault, Aude and Pyrénées-Orientales. The turning point was in the mid-1850s. 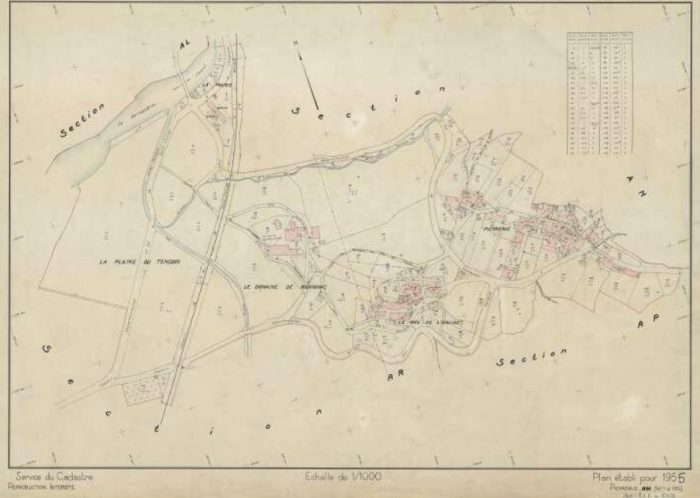 In fact, in the middle of the 19th century, the Hérault remained a cereal department even though the surface area of its vineyard had increased from 96,000 ha in 1828 to 174,000 ha in 1850. It was not until the Second Empire and the beginning of the Third Republic that the vineyard expanded while other crops declined: the vine then became a monoculture. There are two reasons for this phenomenon: on the one hand, the development of demand as a result of urbanization and the increase in average income caused by economic growth; on the other hand, the expansion of the rail network. The railways, by making transport faster, safer and more economical, allowed wines – formerly distilled – to be widely distributed in the consumer regions, mainly Paris, the North, the East and the Centre. Conversely, the southerners could receive goods manufactured elsewhere at a better price and the foodstuffs, wheat in particular, that they no longer produced. The trade in alcohol, the source of the prosperity of the Bas-Languedoc – and in particular the Biterrois – since the completion of the Canal du Midi in 1681, was replaced by the trade in wines. The latter found in the railway an indispensable tool to conquer a now national market. A mixed network of railways of general interest and local interest. 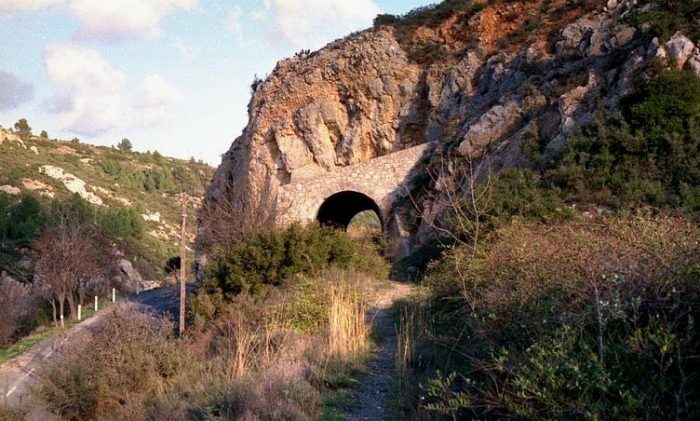 At its peak, the railway network of the four wine departments of Languedoc-Roussillon, shared between the PLM and the Midi on either side of Sète, was structured around the Tarascon-Sète-Bordeaux axis completed in 1858 with its Narbonne-Perpignan-Cerbère junction. 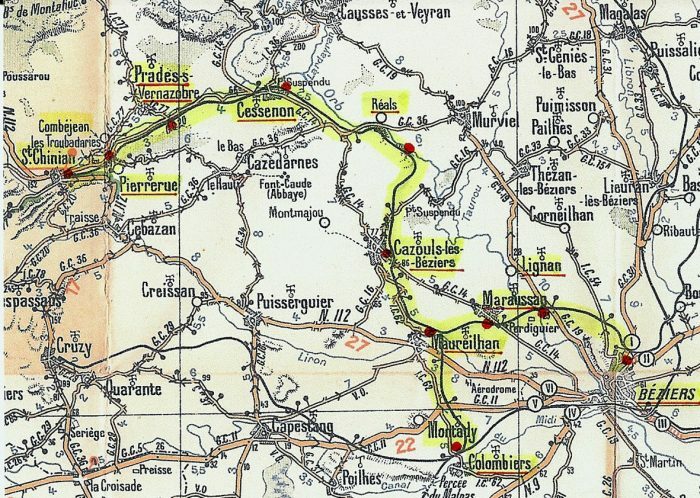 Two south-north radial railways, Nîmes-Clermont-Ferrand and Béziers-Neussargues, offered – on paper at least – a direct relationship with Paris through the Massif Central, while transporting the wines produced around the service stations in the Gard and Hérault. 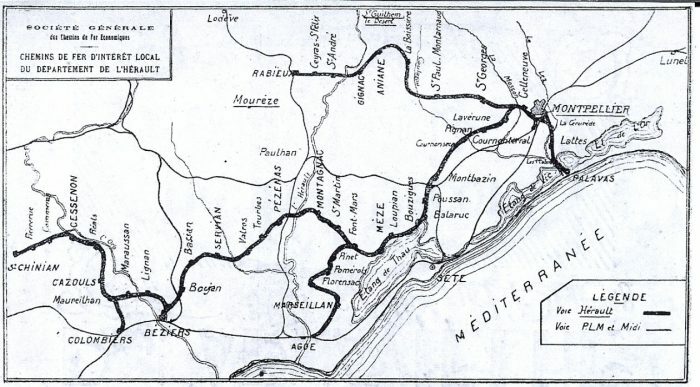 Finally, a series of “secondary” lines criss-crossed the vineyards: Nîmes-Le Grau-du-Roi, Nîmes-Sommières-Montpellier, Montpellier-Paulhan-Bédarieux, (Béziers)-Vias-Lodève, (Béziers)-Colombiers-Quarante-Cruzy, Narbonne-Bize, Moux-Caunes-Minervois, Carcas-sonne-Quillan-Rivesaltes, etc. 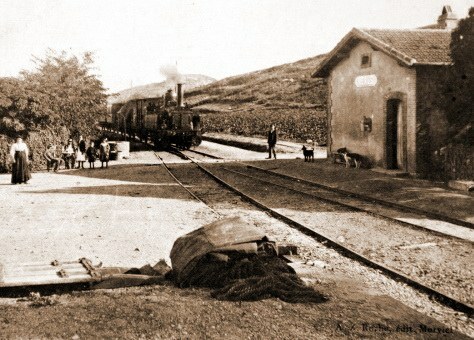 In addition to these lines of general interest, there were standard-gauge local interest lines in the Hérault and the Pyrénées-Orientales, the latter operated by a subsidiary of the Compagnie du Midi, les Chemins de fer des Pyrénées-Orientales, which collected valuable tributary transport at a lower cost. To refine our understanding of the wine traffic, we conducted a “micro-territorial” study. 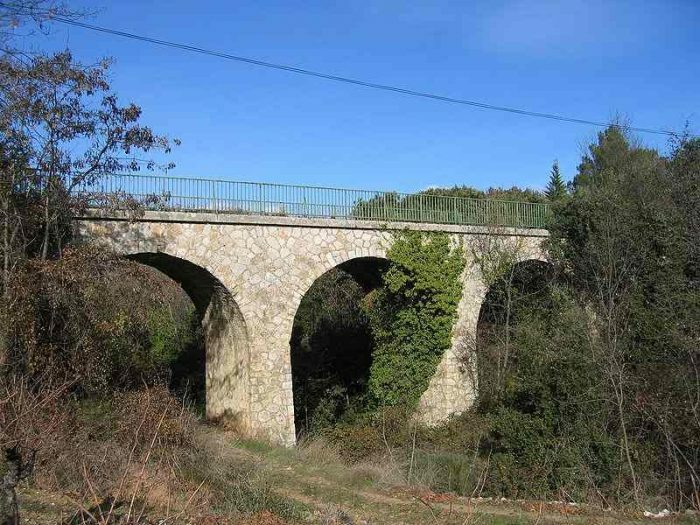 Our Ariadne’s line will be the Béziers-Saint-Chinian local interest line (33 km), opened by the Compagnie des Chemins de fer d’intérêt local de l’Hérault between 1876 and 1887 and connected in 1913 to the Midi, in Colombiers, by a 6 km branch. 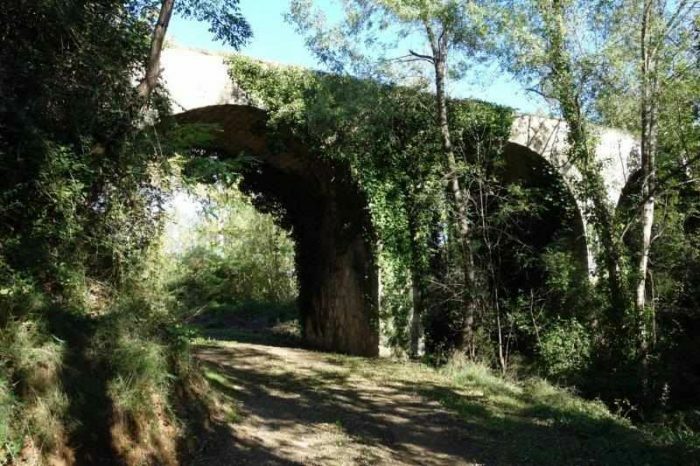 In 1929 this line, along with the remainder of the Hérault network, was included in the Société générale des chemins de fer économiques (SE), this line, formed the western end of the Montpellier-Chaptal-Saint-Chinian route, via Montbazin, Mèze and Béziers, provided important transport access to the region located to the northwest of the Biterroise sub-prefecture, in the heart of the Béziers-Saint-Pons district. 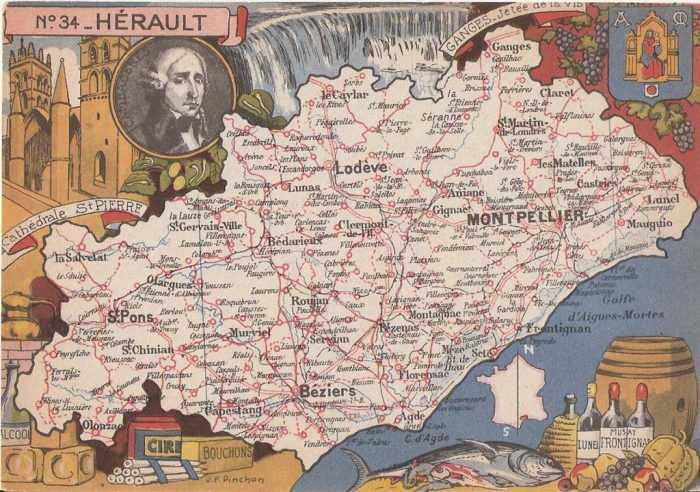 Some figures show the importance of the latter: in the 1930s, this constituency accounted for 60% of the Hérault vineyards and 10% of the metropolitan vineyards for a harvest of about 7 million hectolitres, i.e. 65% of departmental production and 12% of metropolitan production. 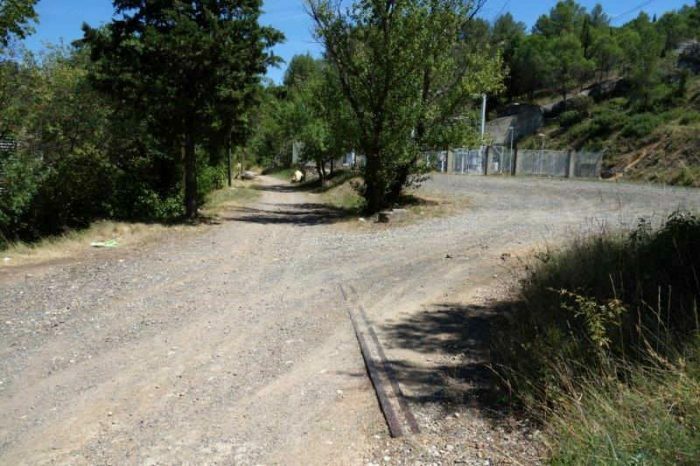 The Hérault network’s standard-gauge track (CFH) opted for coverage of the territory in a gauge which allowed for the best access without the need for transshipment. In addition, this gauge allowed the circulation of privately owned wagons, a significant advantage when tank wagons played a major role in wine traffic. Finally, this characteristic favoured the flowering of privately owned branches (EP). This built customer loyalty because of the investment made. 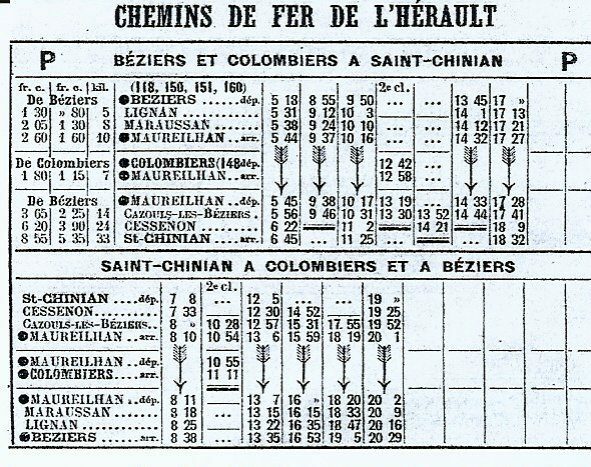 In 1952, the CFH could count on 30 private branches, 10 of which were on the Béziers-Saint-Chinian line alone. Almost all of these were of interest to viniculture. 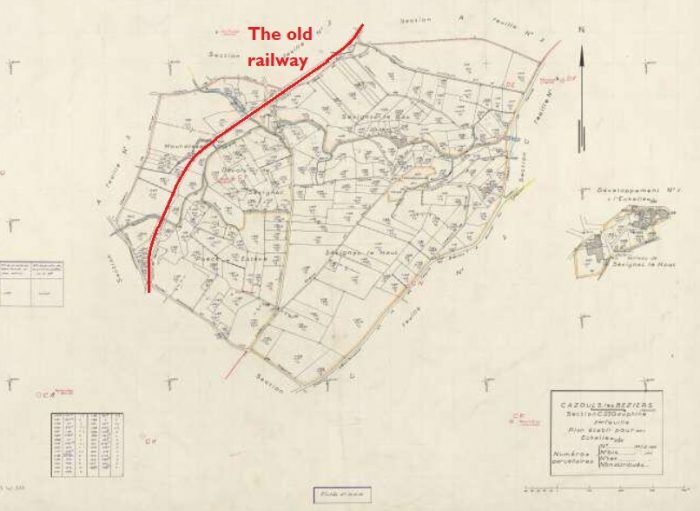 Specifcally identified sidings gave access to the line to three wine merchants, two cooperative cellars, two tank car garages and a car repair workshop. …..
Viniculture contributed 85% of all goods traffic in 1913, a proportion that would exceed 98% after 1945. However, the CFHs had to fight two handicaps to prevent loss of traffic. The first was technical, while the second one was a matter of dryness. First the technical issue: the original track with rails of 24 kg per metre, and the lightness of the aprons resulted in a limiting axle-load of 11 tonnes. 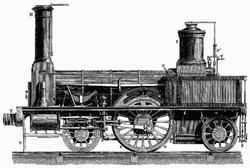 This ruled out the use of many wagons – in particular tank wagons. 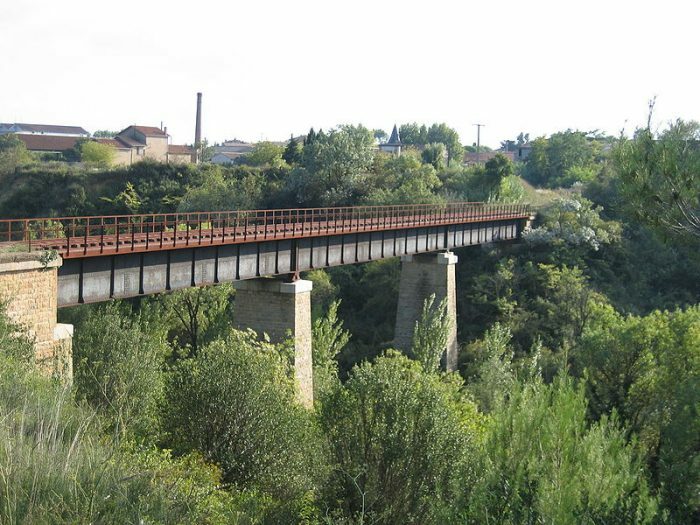 In 1932-1934, the installation of 30 kg rails and the reinforcement work areas allowed maximum axle-loads to rise to 16 tonnes. Then, between Saint-Chinian and Colombiers, that axle load was increased to 20 tonnes in 1963-1967, after a general overhaul of the track. Secondly, tariffs were a major handicap. The split taxation of shipments from/to large networks – i.e. adding taxes levied by each jurisdiction – increased the total price from or for a station in Herault. The problem primarily related to wines which made up a third of all the tonnage of the CFHs. One example of the shipment of one tonne of wine in Saint-Chinian barrels to Paris-Bercy in 1934 easily demonstrates this. 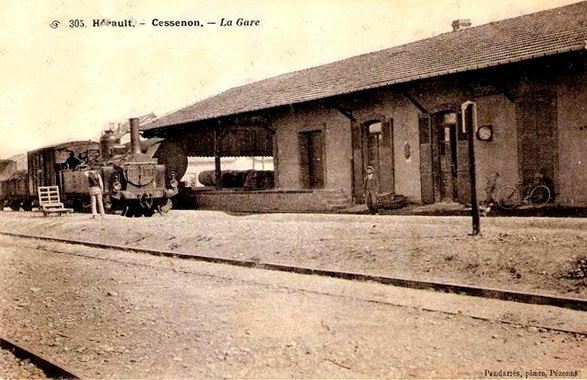 The tax amounted to 195.78 F, of which 21.03 F for CFH and 174.75 F for Midi and PLM networks while this same transport from the station of Puisserguier on the Midi line from Colombiers to Quarante-Cruzy cost only 186.90 F – reduction of 8.88 F per ton. 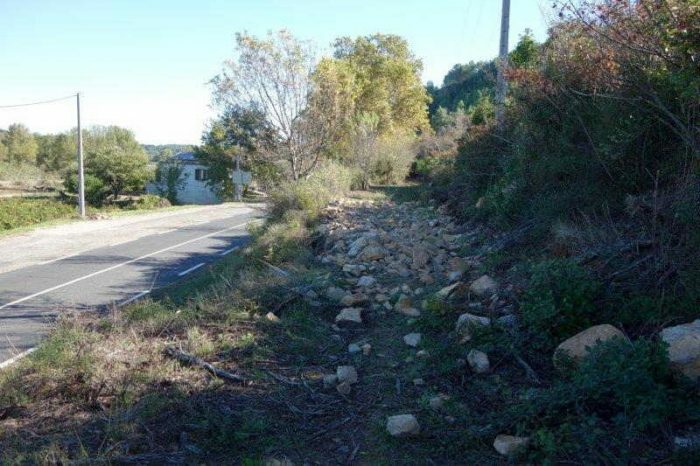 This difference disadvantaged traders served by “l’Hérault” and favoured their colleagues based close to the Midi/PLM. This resulted in many shippers, often at the request of their customers, using the nearest Midi or PLM Station – a possibilty facilitated by the interweaving of the networks and, after 1918, by the development of of road transport. The solution was in the application of a common tariff for CFHs and the large networks – the 6-106 tariff for drinks. End-to-end taxing according to this common special tariff resulted in the above-mentioned transport cost reducing to 174.10 F, including 12.77 F to be paid to the Hérault and 148.43 F to the PLM/Midi networks (the balance of 12.90 F represented tax). However, this change was only brought about through difficult negotiations. The reform was certainly beneficial to the public and led to a decrease in receipts for the Midi (in our example: 10.42 F per tonne). It was not until 1897 [sic] that the Minister of Public Works Turrel certified the first common tariff for the CFH/PLM on the journey to Paris-Bercy (about a third of the tonnage of wines on the CFH). 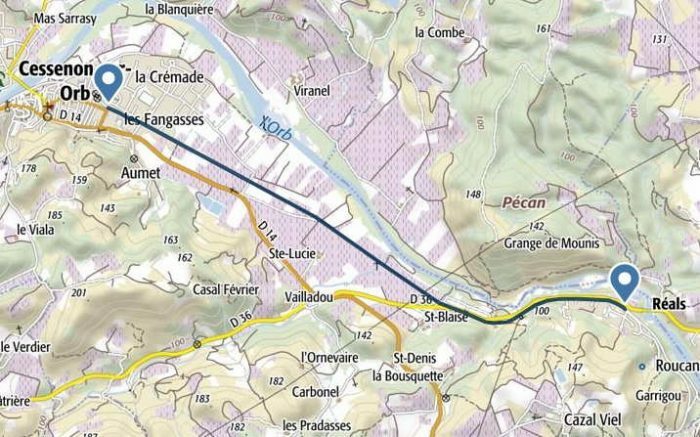 It is true that, for the owner of a large wine estate in the Aude, this measure could impact on the result of an election. 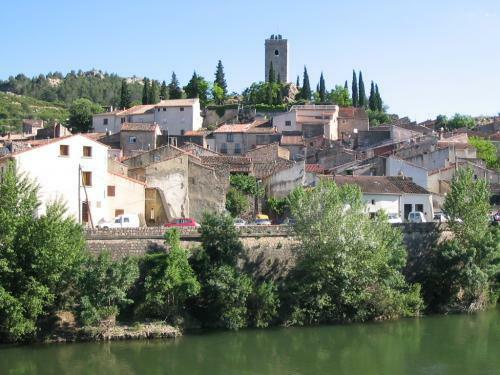 (About this political figure, divided between Parisian political activity and his lands in the Aude, see Jean-Louis Escudier, Viniculture and politics in Languedoc. Adolphe’s action Turrel, Minister of the Third Republic, Les Presses du Languedoc, 1995.) The secondary network was nevertheless excluded in 1919, during the general revision of the national network, and it had to wait until 13th October 1938 to be included following a lively campaign and under pressure from road competition. 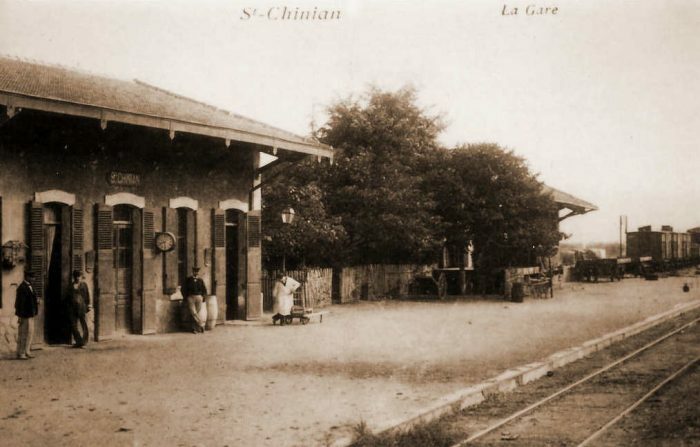 There were negative impacts of the policy of a national network tariff: indexation of stations established in 1951 by SNCF, in accordance with the principles of its new price-based pricing of cost, led to a movement of wines away from the CFH, in particular on the Béziers-Saint-Chinian line. Bezeiers-SNCF station received an index number of ‘4’. CFH stations nearby were given the index number ‘6’ which was much more expensive. 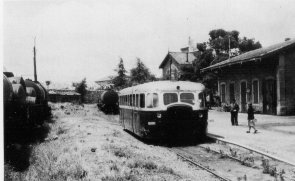 In 1953, in the face of protests from the CFH, the SNCF granted index ‘4’ status to only one station in the area around Beziers – Beziers-Nord. To get round the problem, the CFH invented a device which consisted in taxing all wine shipments from their Béziers Station. 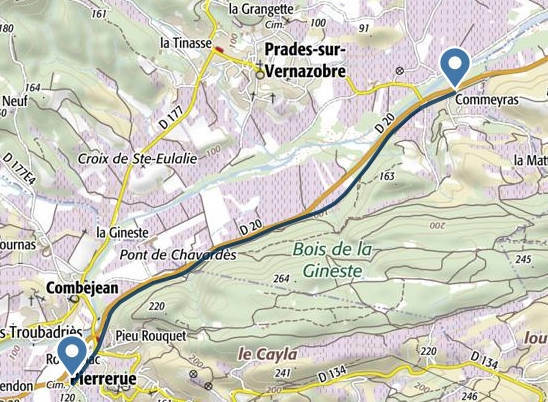 The route from the loading station to Beziers being covered by a trucking rate. This was a fcition! 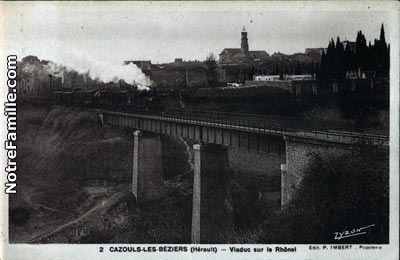 Wagons continued to go directly to Colombiers without going through Béziers. This combination which was advantageous for the customer, lasted until 1962 when a new pricing structure was set up. Similarly, the CFH had to obtain an exclusion for their “territory” when the SNCF introduced road collections in 1950-1953. 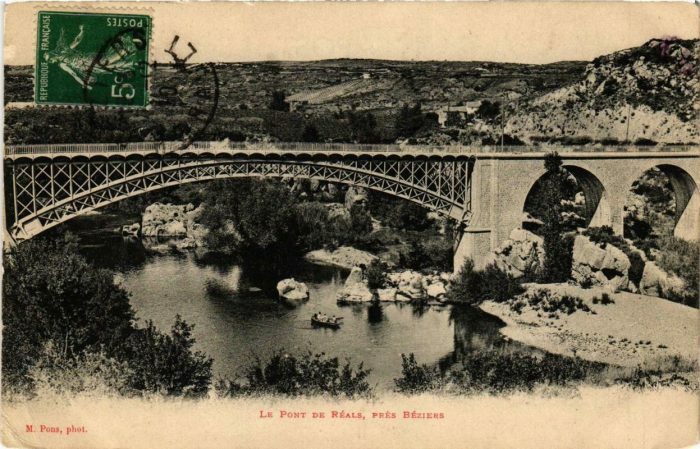 Thos collection rotues had a significant effect on the network by focussing railheads for wine at Sète, Béziers, Narbonne, etc. In 1952, the CFH evaluated, in respect only of the line to Saint-Chinian, that 15,000 tonnes was the loss of traffic caused by recent measures by the SNCF. Those measures were also detrimental to smaller stations in the national network. commission agents (commissionaires) and brokers. This distinction became blurred over time. A number of traders became commissionaires to avoid large disbursements and the dreaded risk of devaluation of their stocks. The trader buys wine from the producer and, after processing, resells it to the customer. The wholesaler, who requests a fixed price including the price of the goods and transport, deals with trade wholesale or semi-wholesale of products, while the “barricailleur” focussed on particular locations. The commissionaire buys the wine on behalf of a dealer of a place of consumption and, after processing the case if necessary, sends it to him. He gets a fixed commission, all costs, transport in particular, remaining at the expense of of the buyer. The broker limits himself to connecting a buyer, trader or commissionaire, and a producer. 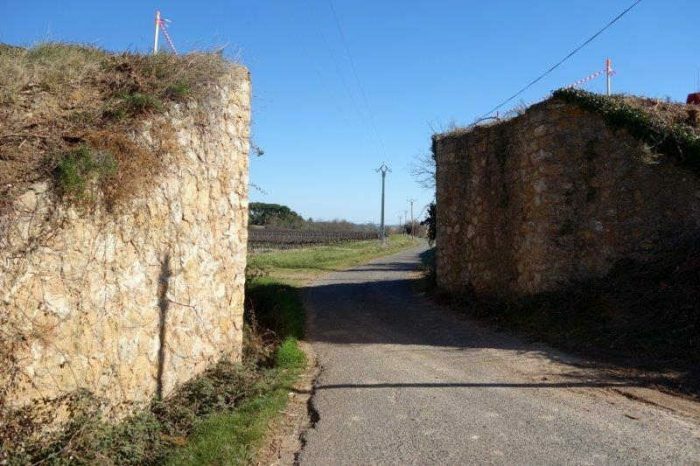 To complete the picture, it should be added that, at the beginning of the 20th century, the cooperative wine-cellars appeared and multiplied quickly after the first world war. They developed so effectively that they often resulted in the death of smaller properties/vineyards. At the opening of the CFH, the region had already resolutely oriented itself towards viniculture. 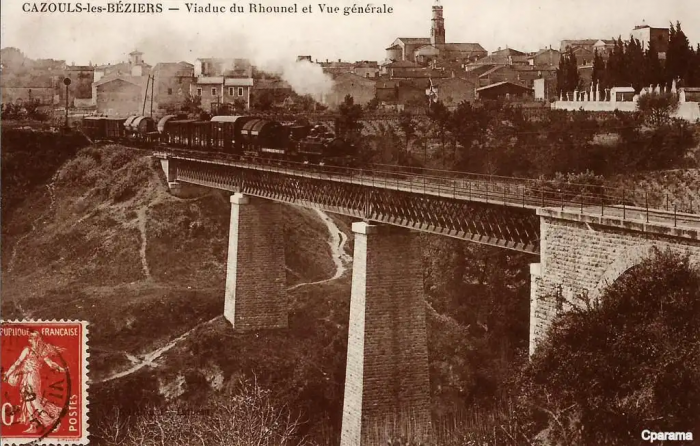 However, the railways facilitated “industrialization” and encouraged the development of an active wine trade in the communities served, including between Béziers and Saint-Chinian. 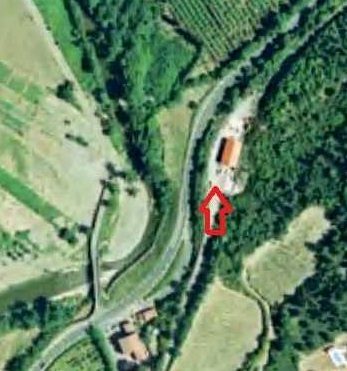 So, the large cellars of Cessenon were built after 1877, the vat room of the estate of Viranel was built in 1881, as was the cellar of the Mas Sarrasi. 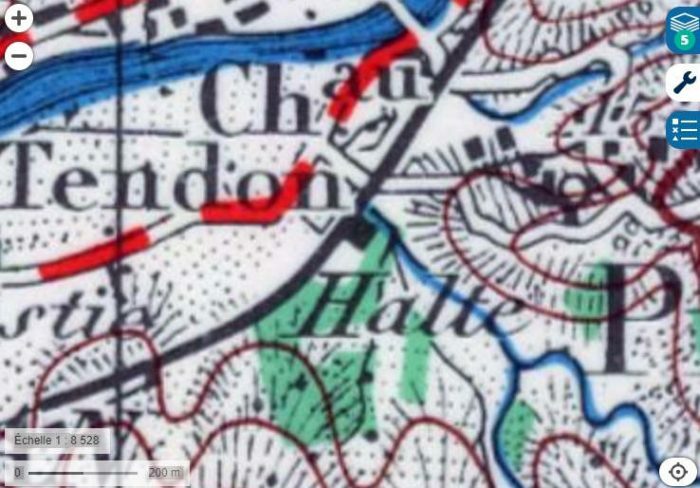 Similarly, the distilleries, that had operated in this same village since the first third of the 19th century, disappeared, most of them around 1880, which shows that the wine was now predominantly “exported”. 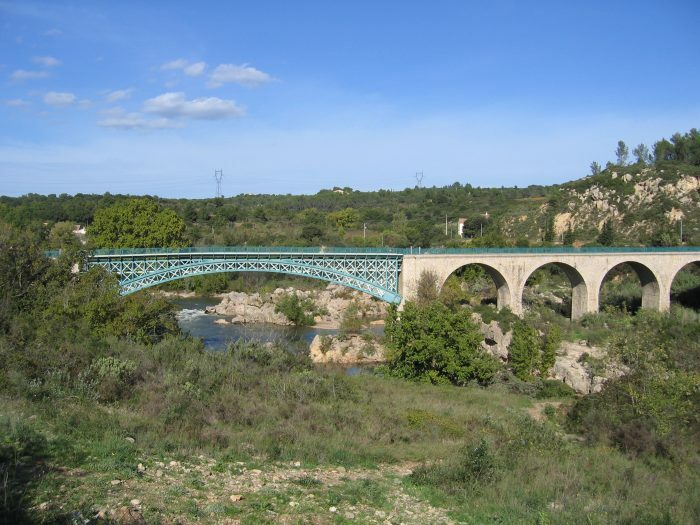 Some traders, in particular in Maureilhan and Cazouls, continued to transport their product direct to the Midi station in Beziers, because of the difference in tariff that we noted above. The Negoce of Béziers often had wine moved by cart to his stores in Biterrois. Andrieu, Borrel and Robert in Cazouls. of the North, Auguste Cazanove (1832-1885), wine merchant and banker, was head of a Important house that ranked first among his contemporaries in the region. 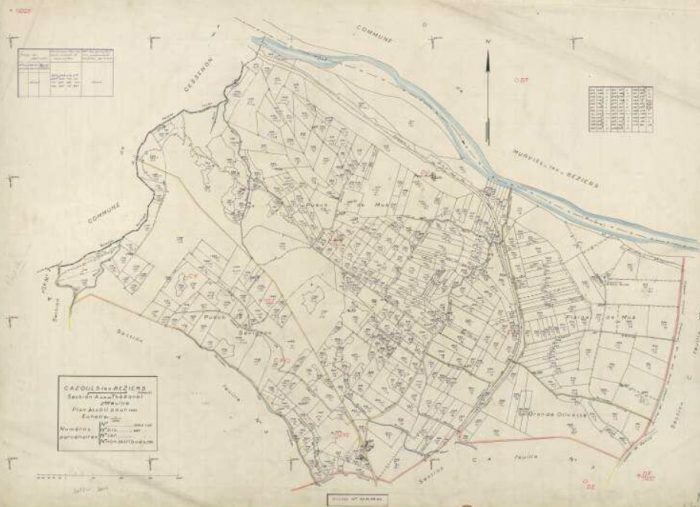 In the early 1880s, he owned two wine stores and a coopers workshop near Cessenon station, in the middle of the built-up area. In 1880, he even created a distillery which, however, turned out to be ephemeral since it was demolished in 1883.
even Switzerland, covered covered costs in such a way that completion became less significant. 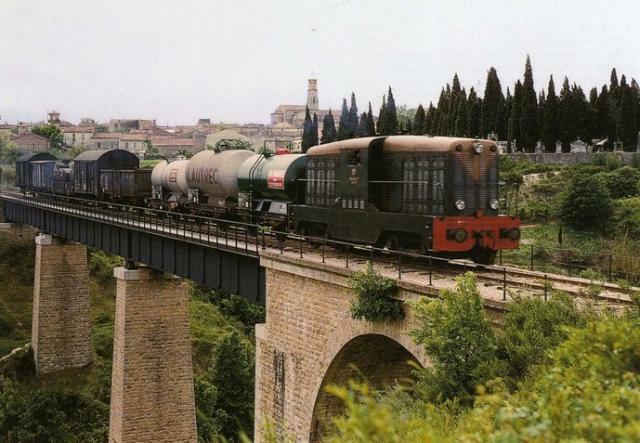 wines in Béziers, built a modern cellar close to Beziers station, with concrete tanks, with two sidings connected to the railway which were about 180 metres in length. 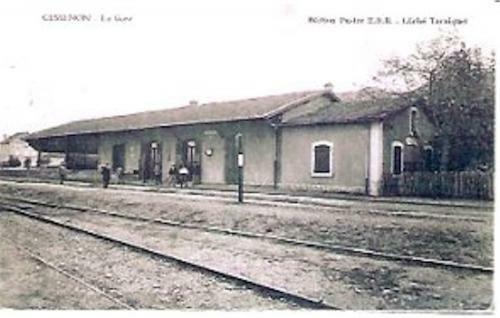 After the dissolution of this company, in 1925, François Pétrier (1890-1971), whose offices were located in in front of the Midi station in Béziers, kept the private sidings until 1960. 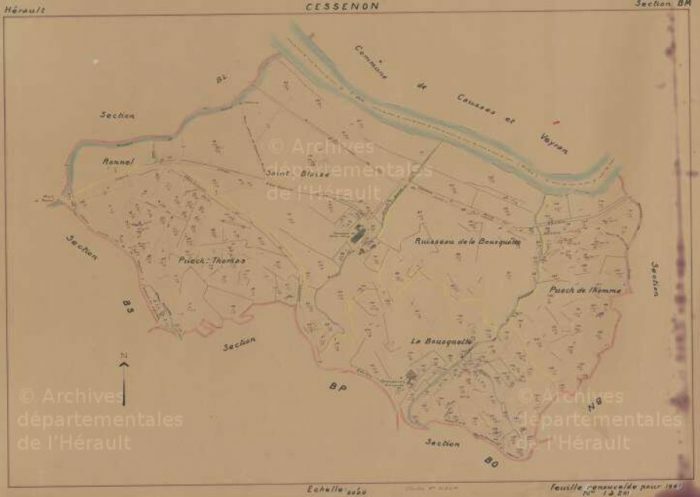 In Coursan (Aude), his native village, François Pétrier owned a “buying house”, as well as the domains of Fouléry, near Servian, and Creyssels, near Mèze. Pétrier was entrusted, in May 1939, with the presidency of the Groupement des usagers de l’intérêt local de l’Hérault, founded by the main clients of the network to defend the CFH which was threatened with closure. 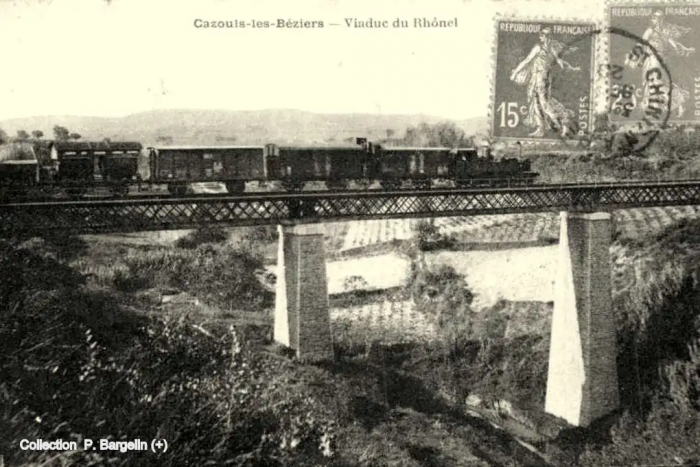 The designation of a trader at the head of this group, which was based in the premises of the Trade Union of Wines in Béziers, underlined the role of rail transport to his profession. Finally, F. Pétrier, who also owned tank wagons (31 in 1936), chaired the Chamber of Commerce of Béziers between 1960 and 1964. 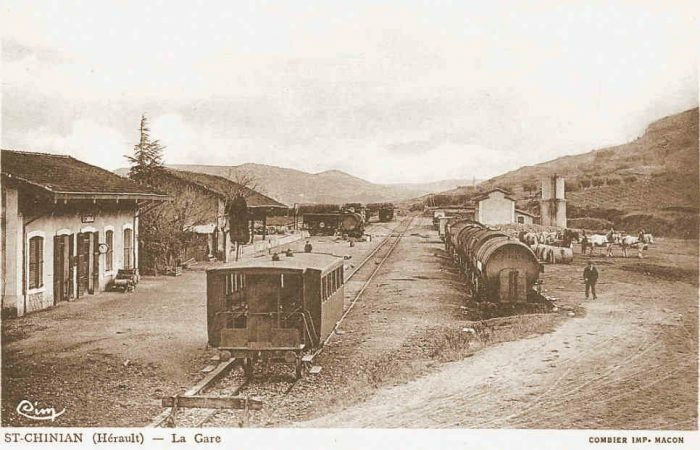 (1864-1937), “descended” from his native Tarn, bought a piece of land close to the station to create a metal workshop. 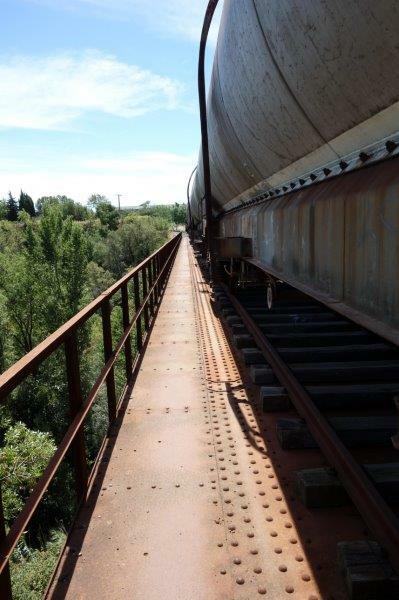 In 1926, his son Paul (1896-1947), also a blacksmith, had a 30 metre siding laid, connected to the station via a turntable for the reception and the shipment of wagons built or repaired in his workshop. particular. The Herry house continued to use the siding and stayedin business until long after its removal in 1970.
from 1964 to 1973, he succeeded F. Petrier as the head of the Chamber of Commerce in Béziers. He was then, from 1968, President of the Chamber Regional Commerce in of then received, in Languedoc-Roussillon. In Saint-Chinian, from the beginning of the 20th century, about ten brokers or traders, some of whom were located near of the station, carried out important shipments (tank wagons and (barricaille? )): Cauquil, Chabbert, Fréchinet, Hugoné, Phalippou, Salvestre, List, etc. 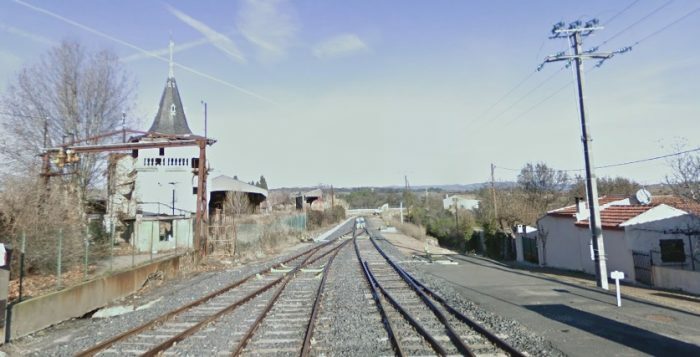 There was no specific siding but the trade used the old cattle dock (100 metres in length) located on the across the tracks, from the station building. Established traders along the line were supplemented by trade shipments from Biterrois. 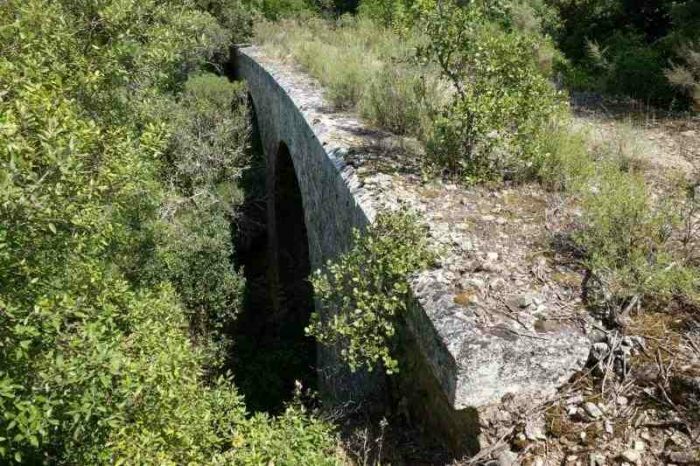 in the Hérault, was served from 1905 by a siding of 85 metres which was lengthened in 1913. Before 1914, it transported wine to a depot in Charenton (Seine). 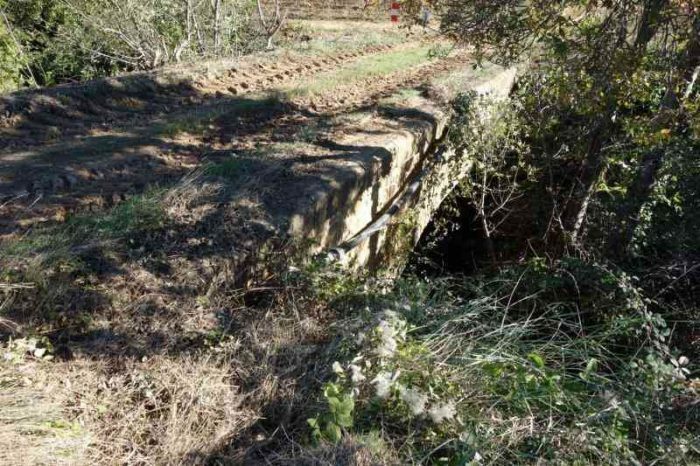 Built in 1937, the Cessenon cellar obtained a 93m private siding in 1948. In addition, after the first world war, industrial-sized distilleries appeared for each Marc. 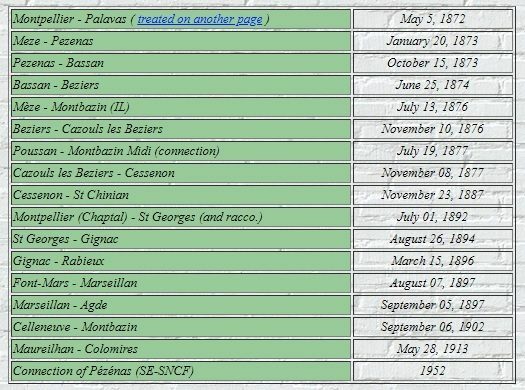 Distilleries appeared in Lignan and also at Cazouls, Cessenon and Saint-Chinian. 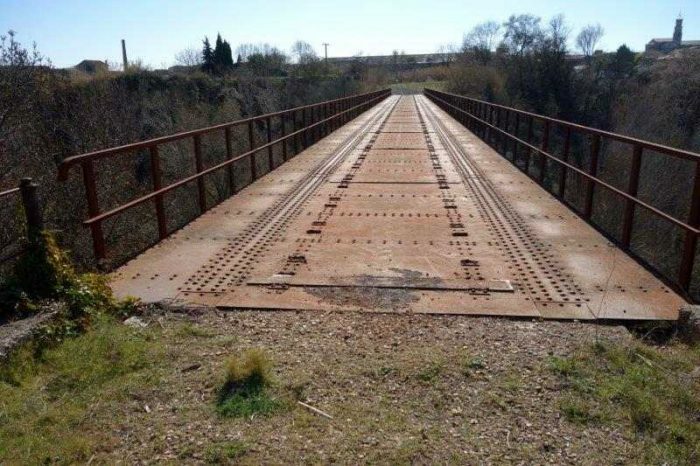 This entry was posted in Railways and Tramways of South-Western France, Railways Blog on March 18, 2019 by rogerfarnworth.